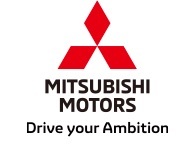 TOKYO, Nov, 30 2018 - (JCN Newswire) - Mitsubishi Motors Corporation (MMC) announces that its crossover SUV Eclipse Cross has been awarded the maximum five-star rating in the FY2018 JNCAP(1) testing and evaluation of collision safety performance , and a ASV++(2) rating for active safety performance. These ratings demonstrates Eclipse Cross's high levels of performance in collision injury mitigation and other areas of safety performance. Eclipse Cross uses Mitsubishi's RISE(3) safety body which uses a collision energy absorption design with a deformation-resistant passenger compartment, as well as seat belts and seven SRS airbags designed to offer high levels of passive protection. While the design of this coupe-like SUV place priority on exterior styling, improved impact energy absorption performance in the headlamps, bumper and other parts of the front end and the provision of ample space under the engine hood mean that it also offers a high level of pedestrian protection. 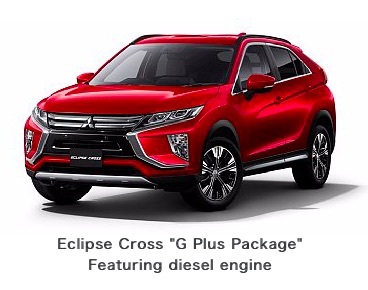 In addition, the use of Mitsubishi's Forward Collision Mitigation (FCM) braking gives Eclipse Cross a high level of active safety performance. (1) Japan New Car Assessment Program; run by the Ministry of Land, Infrastructure, Transport and Tourism and the National Agency for Automotive Safety & Victims' Aid (NASVA). (2) Advanced Safety Vehicle (as defined by the Ministry of Land, Infrastructure, Transport and Tourism. (3) Reinforced Impact Safety Evolution body.